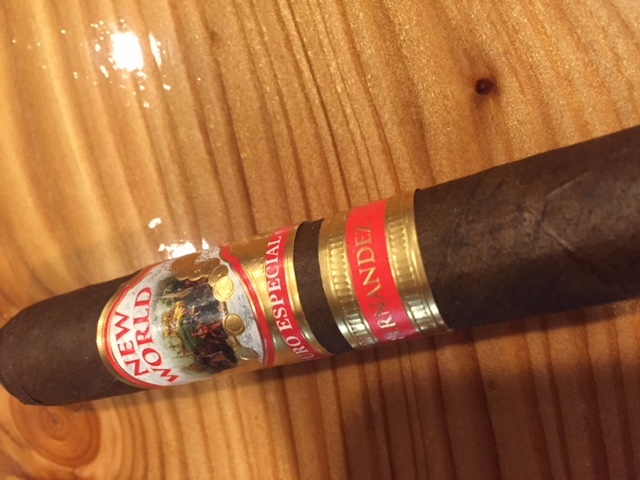 The New World Puro Especial is a fairly peppery smoke, occasionally allowing the flavor to tread into some earthy notes. There’s plenty of pepper between the tongue and nose, so even if you don’t retrohale you won’t be left out of what this cigar has to offer. A bit of chalk comes through in the nose, giving the retrohale a bit more complexity than it had earlier in the first half of the stick. Abdel Fernández mentions that he used tobacco from his San Diego farm because of its mineral component, if that was what you were shooting for mission accomplished. This cigar has a strong earthy component you will not forget.